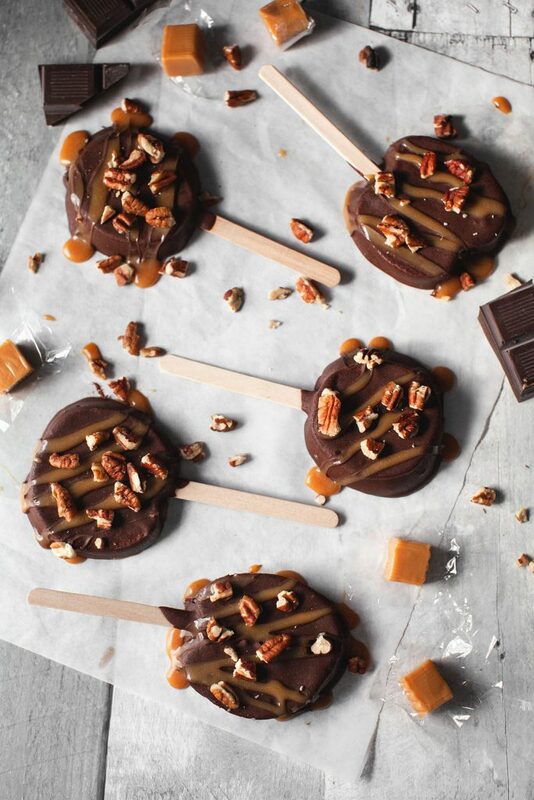 Get into the Halloween spirit with this chocolate EVOO apple slice pops! After all, what's a better fall treat than a chocolate caramel apple?! Slice apples into 1/2" slices. You will be able to get about two slices per apple. With a knife make a little slit in the bottom of each apple slice and insert the popsicle stick into the slit. Melt the chocolate chips in the microwave or on a double boiler. Keep warm, and set aside. To melt the caramels, add 3 tbsp of water to a heat proof bowl and melt them either in the microwave, or over a double boiler. Set aside. 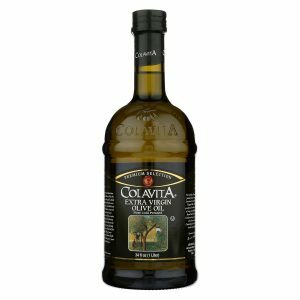 Stir the Colavita Olive Oil into the melted chocolate and mix well. Dip apple slices in chocolate, coating them on all sides and place them on parchment lined baking sheet. Drizzle melted caramel over chocolate and sprinkle with nuts. Refrigerate for about 1 hour. Serve and enjoy immediately. Apples are best the first day, but you can store in refrigerator overnight.